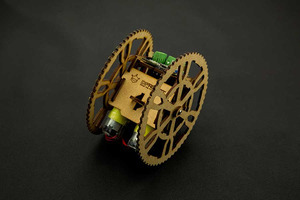 The Cherokey 4WD Basic Arduino Robot Kit is a perfect wheeled robot platform to build your own robot and to get started with Arduino Robot. 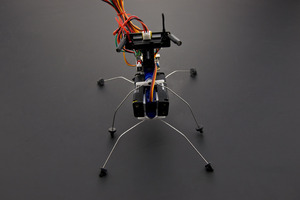 With just a few simple steps of assembling the hardware and tuning the software, and you'll learn all about Arduino, robotics, sensors, bluetooth communication — as well as obstacle avoidance and remote control. 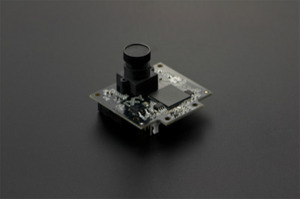 You can also take it further with your own code to take advantage of the ultrasonic sensor, Romeo (All-in-one Bluetooth Microcontroller), IR sensors and LEDs. 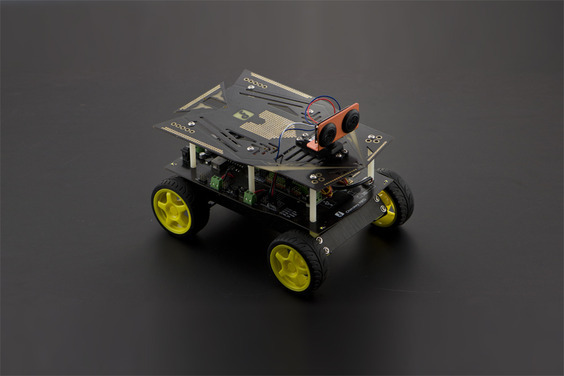 Cherokey 4WD Arduino Basic Robot Building Kit is a versatile mobile robot platform compatible with most popular microcontrollers like Arduino Uno, Mega2560, Romeo, Raspberry Pi, ...etc. 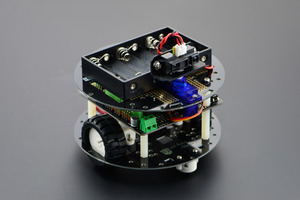 Cherokey 4WD Arduino Basic Robot Building Kit embedded the L298P motor driver chip which allows to drive two 6-12V DC motors with maximum 2A current. 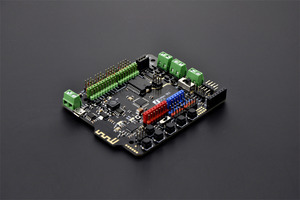 The integrated 2 way DC motor driver and Xbee & APC220 socket allows you to start your project immediately without the need for an additional motor driver or wireless shield. 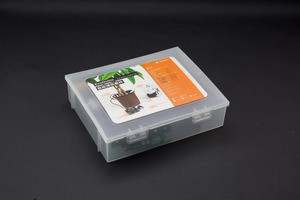 Its expansion plate board significantly increases the surface area of Cherokey, allowing you to easily connect a 9g micro servo or a standard sized servo in two different locations, so that you can install robotic arm or ultrasonic/ir sensors. 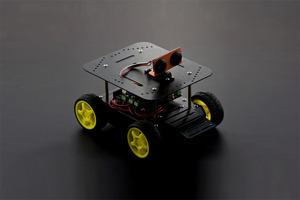 The prototyping area make you convenient to install sensors on the robot. 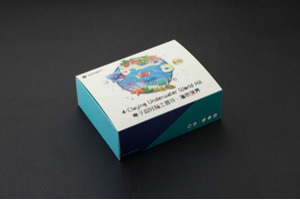 Double-side leaf pads solder prototyping areas in the middle can be soldered with DIP components or SMD components to extend addition function. 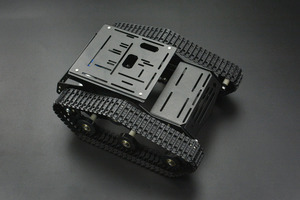 Its high-strength aluminum alloy body material also provides flexibility in rapid movement particularly in outdoor grass, gravel, sand or sloped surface. 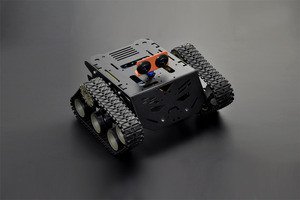 The Cherokey 4WD arduino robot is also suitable for robot competitions and research related projects. 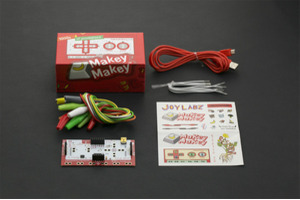 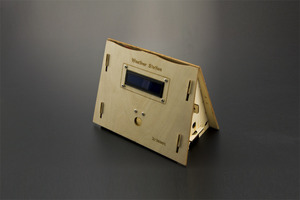 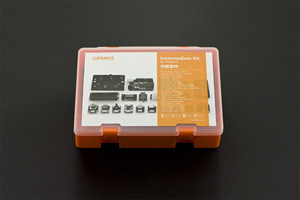 Thanks to Romeo BLE, this kit can now be played with APP(IOS). 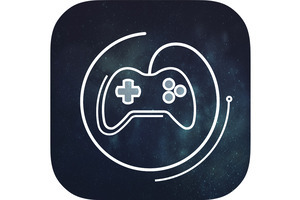 Simply download the APP (GoBLE) and enjoy controlling from you IOS device!